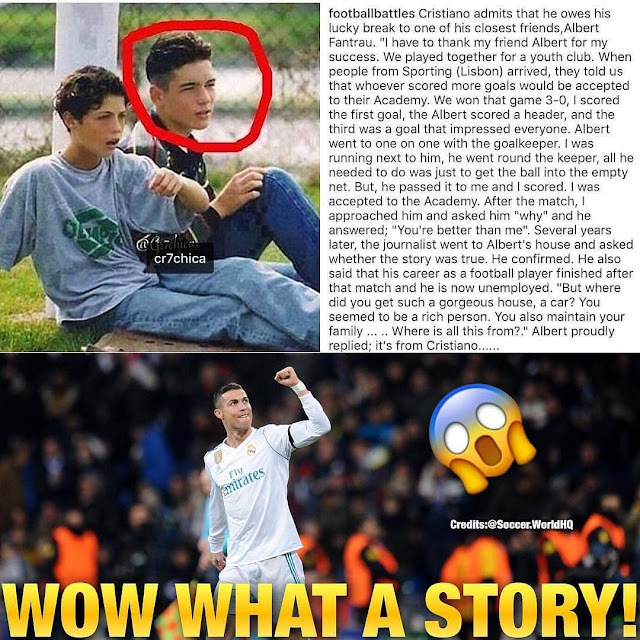 This is the Story of how Cristiano Ronaldo’s friend helped him got Signed into the Football Academy at the expense of his own career… Wow!!! This is the original definition of the word “Friend“. The way Cristiano Ronaldo is paying him back is worth it also. Read the story below & learn from it.